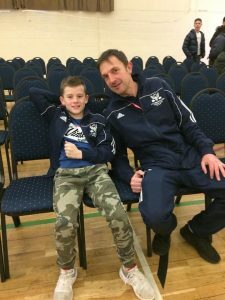 Young Finn Harris kept up his busy schedule by taking on another bout , this time at late notice against good opposition from the CAMPOL boxing club. 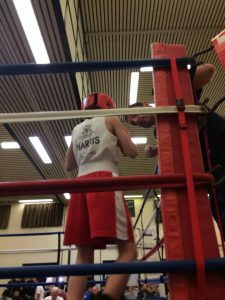 The team traveled to the Top Yard School of Boxing Clubs show in Peterborough for the contest last Sunday afternoon. The Shadwell Stud sponsored ABC boxer set the pace early on boxing well having the better of the exchanges to take the opening round. Continuing to box really well Finn took more control of the bout in the second not allowing his quality opponent to get any advantage. 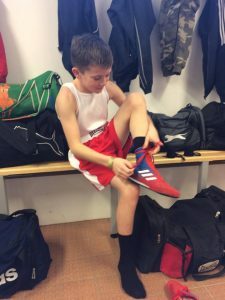 Our young man got better as the bout went on and saved his best for the last round , where he boxed very well to win another round and the contest by a unanimous decision in a great bout by two youngsters with good boxing abilities. Finn now rests and trains for a few days before he enters the ring again , this time in London on Friday evening.